Primarily the work of Robert Del Naja (a.k.a. 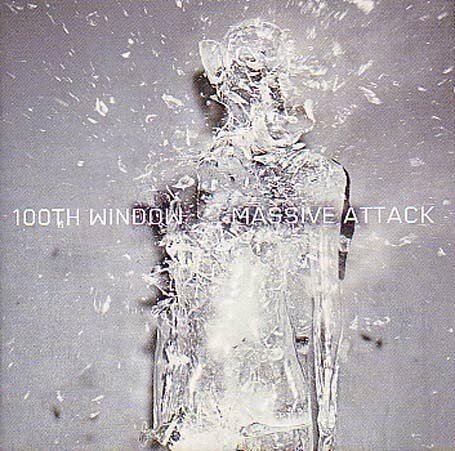 3-D) and Neil Davidge (co-producer on 1998’s Mezzanine), as Grant Marshal is taking a break with his new baby, ‘100th Window’ is everything you would expect from a Massive Attack record. Their stated goal was to create a warmer version of Mezzanine but still retaining its edge. To that end, the album features guest vocals from Sinead O’Connor (‘What Your Soul Sings’, ‘Special Cases’ and ‘A Prayer For England’), Horace Andy (‘Name Taken’ and ‘Everywhen’) and Damon Albarn (Antistar’*). Blending psychedelia, dub reggae, Casio electronica, Middle Eastern strings and sheer trip-hop brilliance, ‘100th Window’ is a more than worthy (and warmer) successor to the pumping urban menace of Mezzanine. First up on the album is ‘Future proof’, which begins like a latter day Radiohead track before that familiar deeper than deep bass kicks in and you’re there. Sinead O’Connor lilts with breathy, emotive beauty over the warped back beats and gentle electric guitar on ‘What Your Soul Sings’ before giving way to long time collaborator Horace Andy on the leaden beats of ‘Everywhen’. The to-be first single, ‘Special Cases’, features more of Sinead. This track sees her singing with both touching frailty and barely repressed anger to a luxurious mix of bass and ethereal synth. This now takes us into the dreamy ‘Butterfly Caught’ with its Arabian tinged strings and upbeat breaks before the welcome return of the angel voiced Sinead O’Connor on ‘A Prayer For England’. ‘A Prayer For England’ is a prayer that the children of England won’t have to suffer at the hands of murderers and paedophiles; it is quite simply and effectively put without veering towards knee-jerk Daily Mail territory. ‘Small Time Shot Away’ has Damon back on the mic and is easily the lightest song on the album with the undulating organs beneath his vocals lifting the tone perfectly. Horace Andy returns for ‘Name Taken’, a more sparsely backed and mellow number, almost downtempo in fact. (Almost) Finally, we move on to curious ethnic beats and chanting vocals for the excellent ‘Antistar’. As mentioned above, the first single from ‘100th Window’ is ‘Special Cases’ featuring Akufen and Luomo remixes, along with ‘I Against I’ (featuring Mos Def) which was previously only available as a 12″ single. It is released on the 24 February. I wonder if they’ll be forced to drop the ‘Attack’ from their name like they did for the last Gulf War?